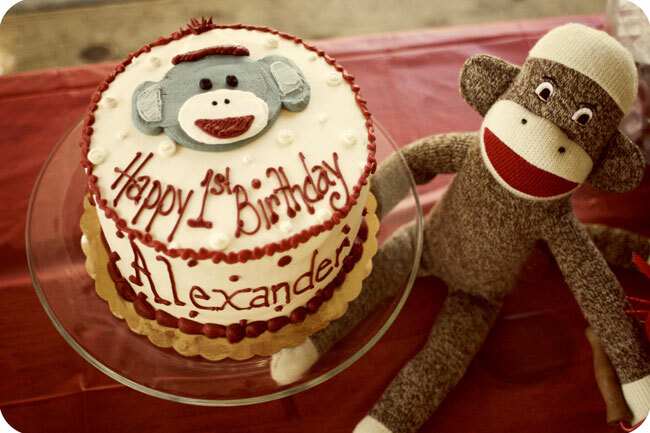 Vintage sock monkey party: Alexander is 1! I am honored to share these photos of a very special party! 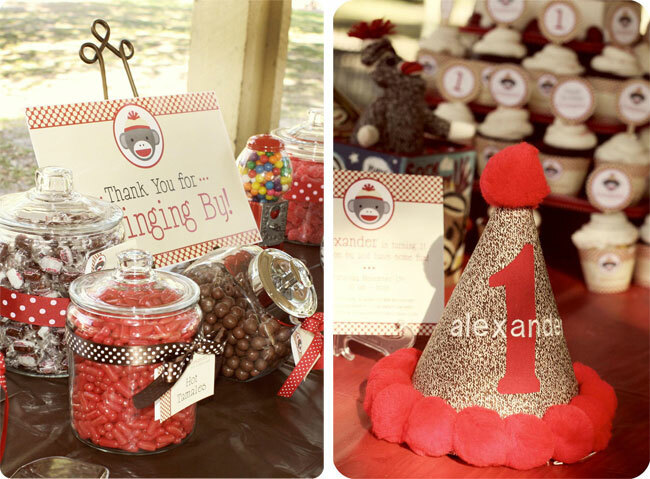 Ultra-talented photographer and super-crafty mama Susan of Susan Gentile Photography outdid herself once again – this time, with this vintage sock monkey theme party for her youngest son, Alexander. My favorite details? 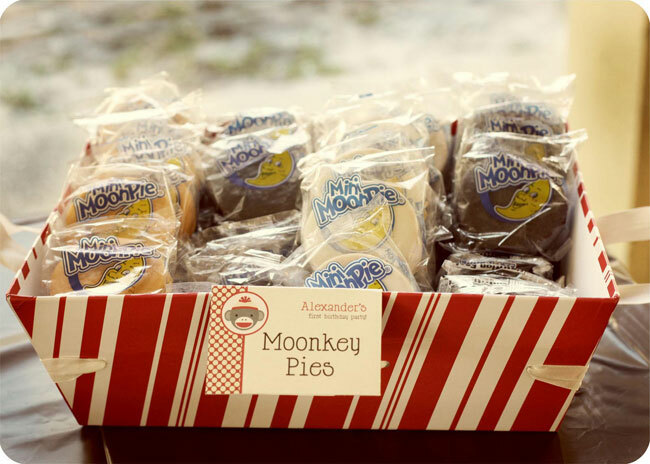 “Moon-key” pies, the absolute mountain of cupcake wrappers and toppers, and of course, Alexander’s ultra-precious sock monkey hat! 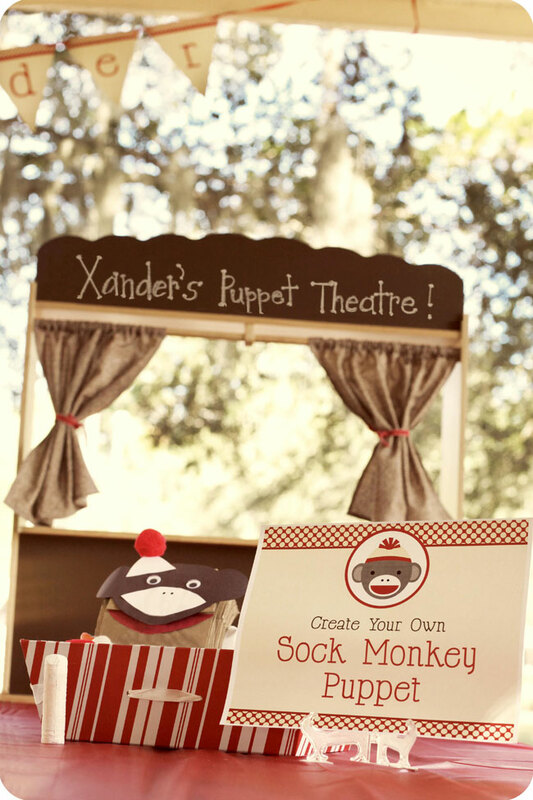 Susan set up a child-sized puppet theatre, and a craft station where kids could create their own sock monkey puppet. The custom sign is a printable from Chickabug. 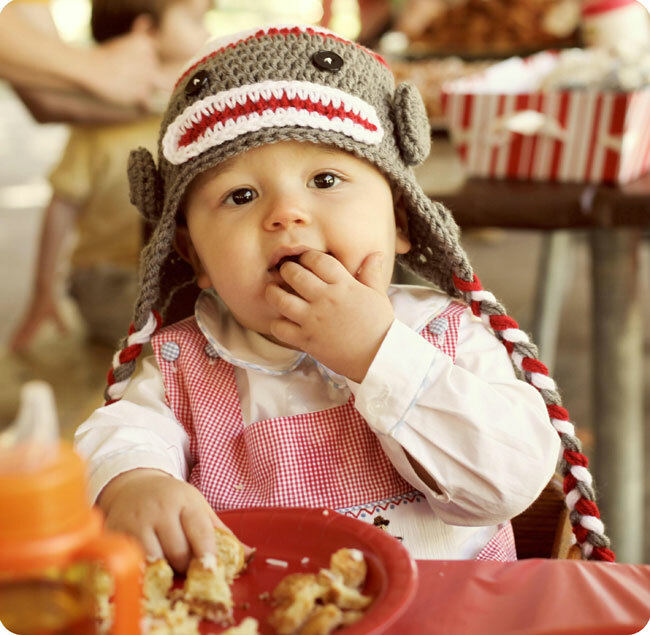 Alexander’s special birthday hat was handmade by Karly’s Kloset. 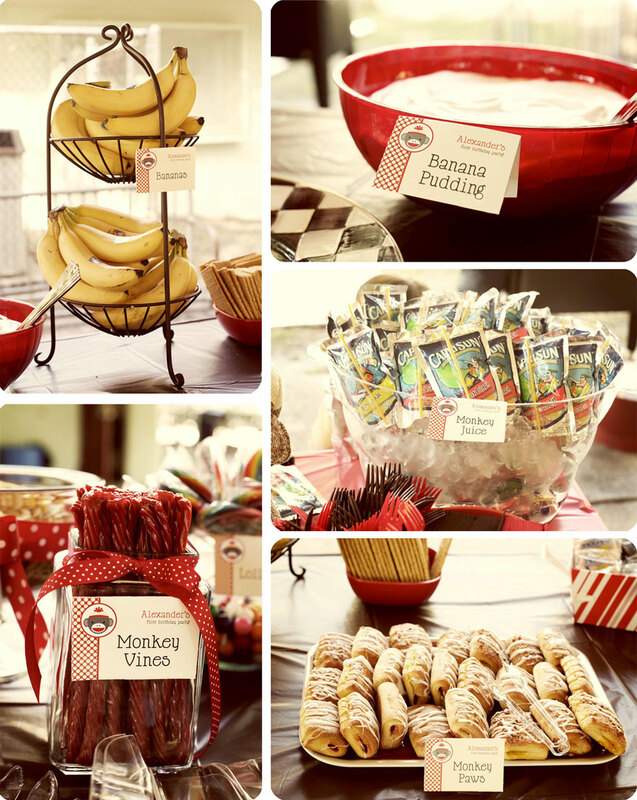 All of the food was monkey-themed, with printable buffet cards from Chickabug. 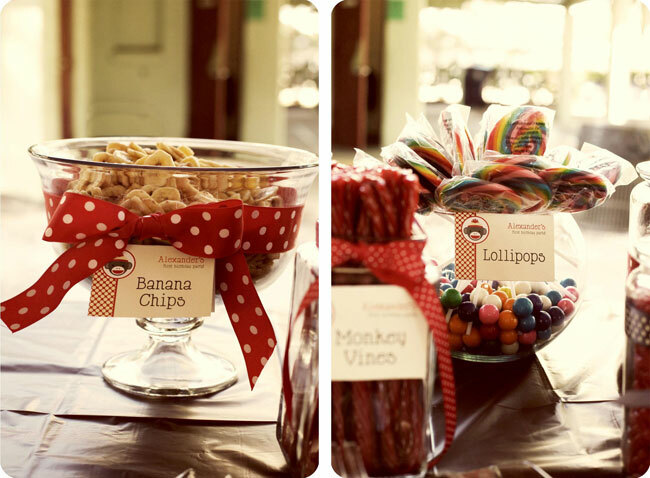 I individually personalized all of Alexander’s buffet cards to give the candy buffet that extra-special touch. 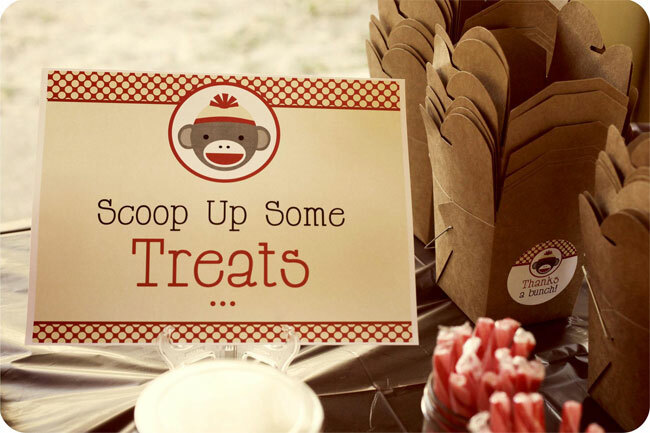 The “scoop up some treats” sign is available here. 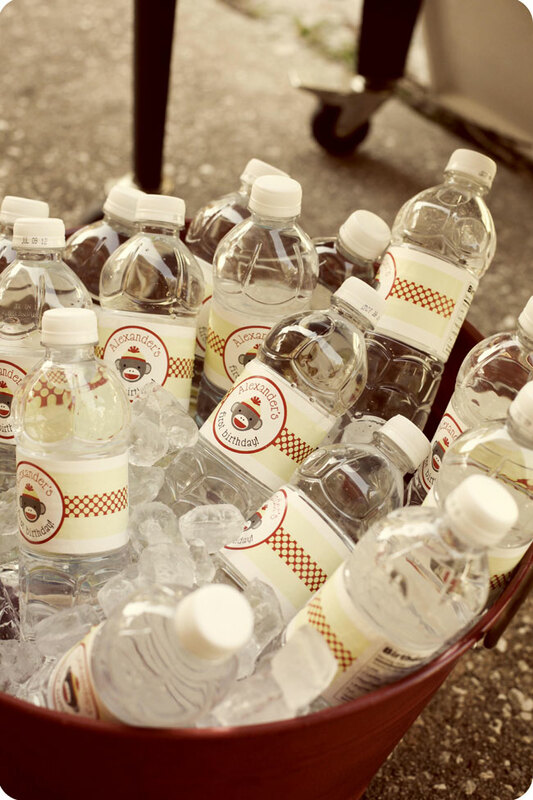 Sock monkey water bottle labels look totally charming in a red bucket of ice. 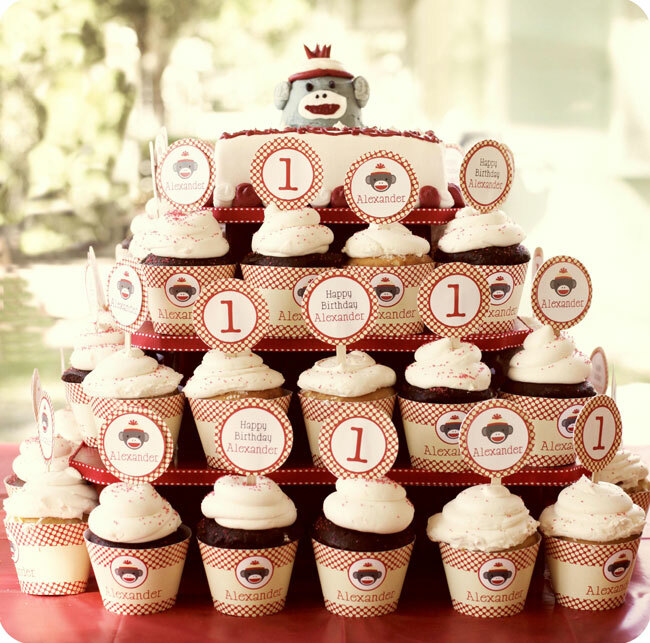 Susan outdid herself with all of the cupcakes, with their coordinating wrappers and toppers! 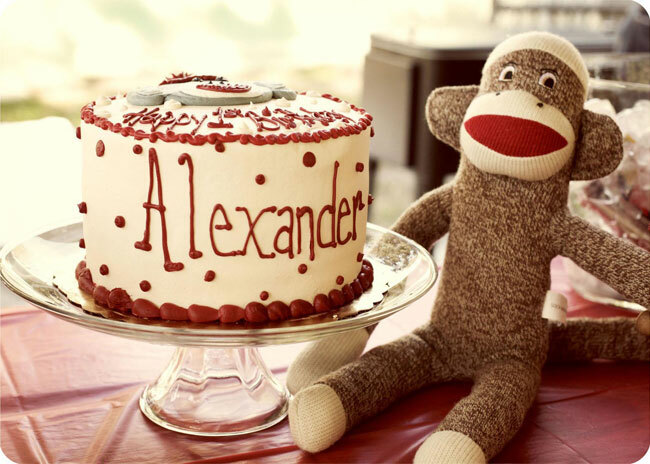 This adorable sock monkey banner is by Stylish Celebrations. 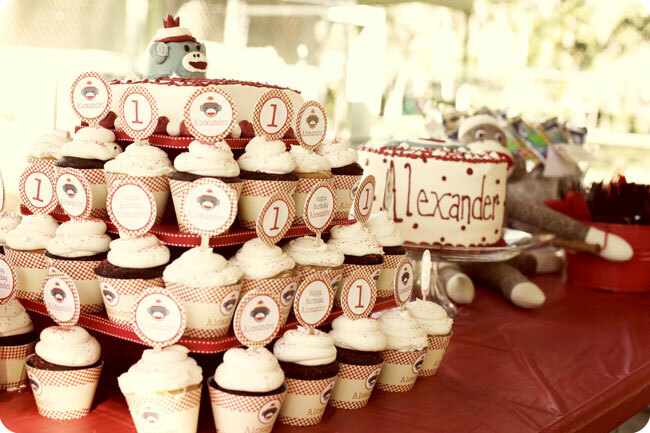 Alexander’s party hat was made using sock monkey fabric from the 5 Funky Monkeys collection by Moda Fabrics. It’s available for purchase at The Little Fabric Shop (a small, woman-owned business) or at Fabric.com (coupons here). 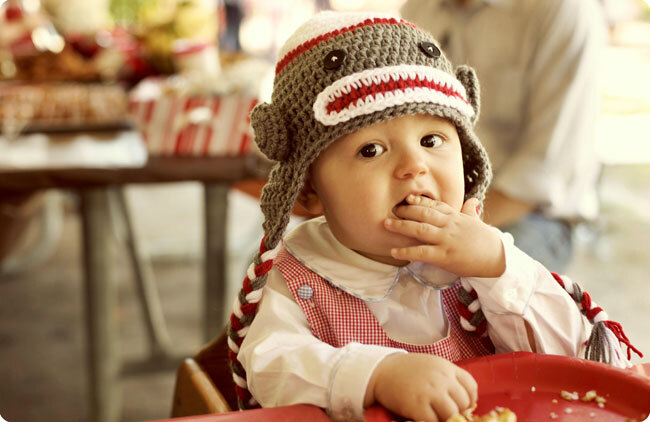 Such an adorable little monkey, indeed! Thank you so much, Susan! 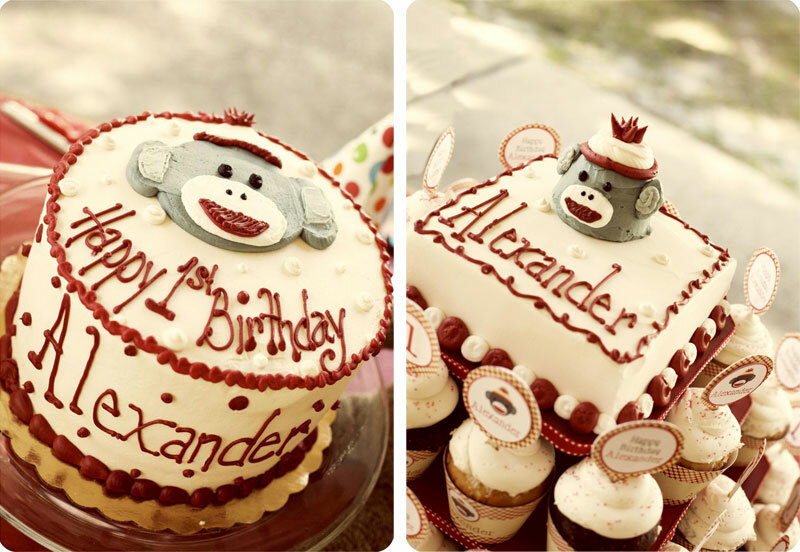 Happy birthday Alexander! PS. 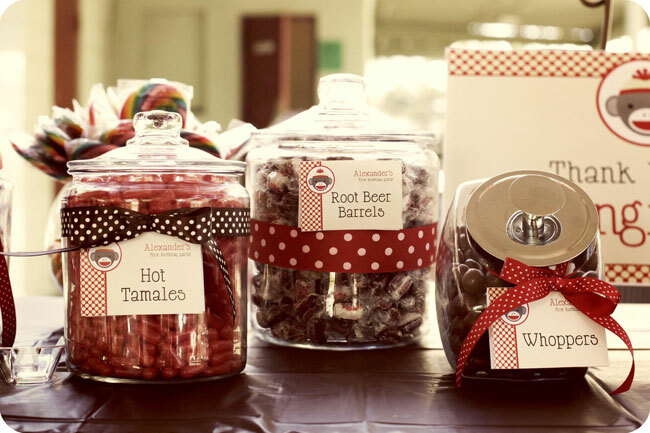 Thank you to Pizzazzerie, Kara’s Party Ideas and Tip Junkie for featuring this party! Looks like such a FUN birthday party! Beautiful party!!! I love the vintage look! adorable theme! love the pics!